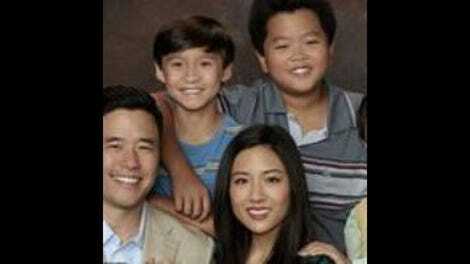 Even though the season-two finale of Fresh Off The Boat made it almost certain that the Huangs would be traveling to their native Taiwan, the journey still feels like a big deal. For one, the season-three premiere marks the first time that any American network television show—sitcom or otherwise—has been filmed in the capital city of Taipei. And even if one were to ignore this geographical distinction (which, with a show like Fresh Off The Boat where the characters’ backgrounds are so important, you really can’t), there’s the pure visual thrill of a trip overseas. It’s rare that any family sitcom gets to travel somewhere so far and so different from its regular location, especially when so many of them are shot on sound stages. Likely aware of how fortunate their production team is, Nahnatchka Kahn and co. don’t squander the opportunity, at least from a cultural standpoint. Throughout “Coming From America,” they go to great lengths to showcase various aspects of Taiwanese culture, from the bustling night market to the swooping architecture of its Taoist temples. And because Gene’s fiancee is an actress, the Huangs even get a glimpse into the world of Taiwanese commercials, obviously very different from the ones they have in America. Those sorts of differences have always been at the heart of Fresh Off The Boat, and it works well for the series to flip them, to have the Huangs—both the adults and the kids—suddenly feel as out of place in Taipei as they once did in Orlando. The weather, education system, names, and just about everything else in their new surroundings simply isn’t what they’re used to anymore. Does this means that they’ve fully and comfortably been absorbed into American culture? Of course not. 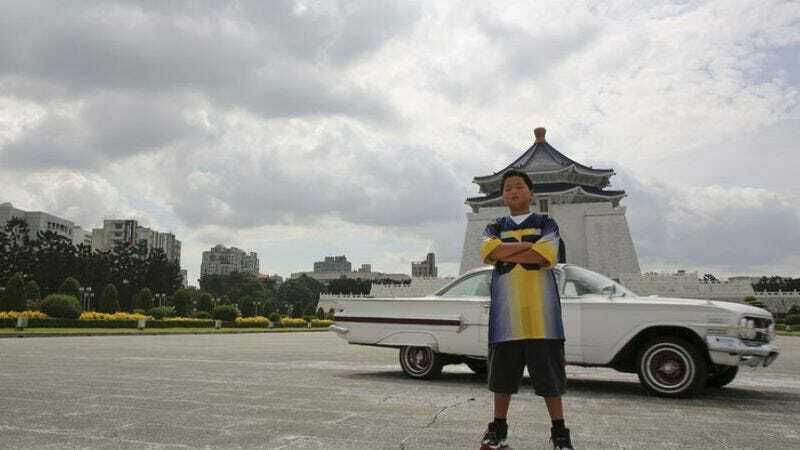 They still find much to like and connect to in Taiwan, and their Chinese heritage will always be a huge part of their identity. And yet at the same time, Fresh Off The Boat is about the complicated questions surrounding cultural assimilation. Is it something to be resisted or desired? Or is it a little bit of both? It depends on who you ask. Likewise, what does it mean to be Chinese? What does it mean to be American? By somewhat reversing the Huangs’ fish-out-of-water status; by making Taipei their new Orlando, the writers are able to address the topic with a hint of complexity that’s not usually seen in the show’s respective genre. But while the series charts new ground when it comes to the Huangs’ relationship with Louis and Jessica’s former home, it covers familiar ground with its core story. After Louis quickly buries the hatchet with Gene, they start squabbling again as soon as he realizes how good his brother has it in Taiwan. Their mutual jealousy was already a repeat of Louis and Steve’s rivalry in “Success Perm” from the moment it was introduced, and having them slip back into their old ways so soon gets tiring. Even worse, their head-butting occupies most of the episode, rushing Jessica’s realization of how much she misses Orlando, unexpected as that ending is for her. To be fair, many siblings never really stop fighting in real life, and there’s no denying the pure amusement drawn from Louis and Gene’s demure, almost hesitant brand of Chinese “polite-fighting.” But it’s still more or less a repeat of their storyline in “Bring The Pain,” with Gene starting to feel like an overused stock character on the show. The fact that his and Louis’ feud is surrounded by so much cultural richness makes it all the more mundane. If there’s a second lesson to be learned in “Coming From America,” it’s that even when Fresh Off The Boat gets adventurous, it’s still susceptible to the narrative pitfalls of any other sitcom. The Huangs’ recap of their adventures to the customs agent was a clever way to handle a “Previously on…” segment. Setting the first episode in Taiwan is most welcome, but I also can’t wait to get back to Eddie and his friends, particularly Brian. I’m jonesing for some more Mask jokes. There was something hilariously anticlimactic about a Ghost parody that involves no clay, or any messy substance. Despite my qualms with the repeated Louis/Gene conflict, their soft pattering and long-distance yelling near the staircase was a great sequence. Does anyone know if Richard Marx is big in Taiwan?